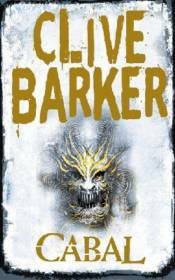 A fabulous journey through the mind of the master of dark imaginative fiction, Clive Barker. The nightmare had begun!. Boone knew that there was no place on this earth for him now; no happiness here, not even with Lori. He would let Hell claim him, let Death take him there. But Death itself seemed to shrink from Boone. No wonder, if he had indeed been the monster who had shattered, violated and shredded so many others' lives. And Decker had shown him the proof - the hellish photographs where the last victims were forever stilled, splayed in the last obscene moment of their torture. Boone's only refuge now was Midian - that awful, legendary place in which gathered the half-dead, the Nightbreed!